Hey guys, I posted this over in my build thread in the Gallery section, but wanted to share this here for those who might be in the same boat I was. So as I've been tracking the car more and more, started to feel the that the stock seats were no longer cutting it. To try and stay in place I was having to brace myself with my knees, and this in turn made it difficult to be precise with my brake and throttle inputs. 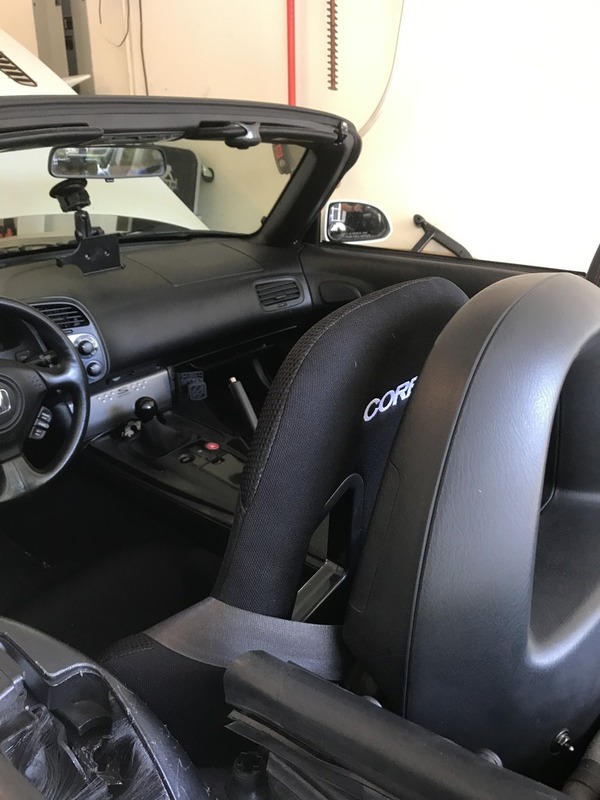 Only issue here is that the majority of the aftermarket seats that fit the S2000, don't fit me. I am what you could call "fluffy" (6'0" 280lbs 42" waist) and as you can imagine my options were extremely limited. I had tried several different seats: Recaro PP (barely fit, but harness holes are too low), Sparco EvoII US (fit decent, but requires extensive work to fit the car), and looked at ordering the Marrad ST3 (which are copies of the Recaro Pole Position ABE which are a little wider than the regular PP and have larger harness holes, but have no FIA or SFI certification). 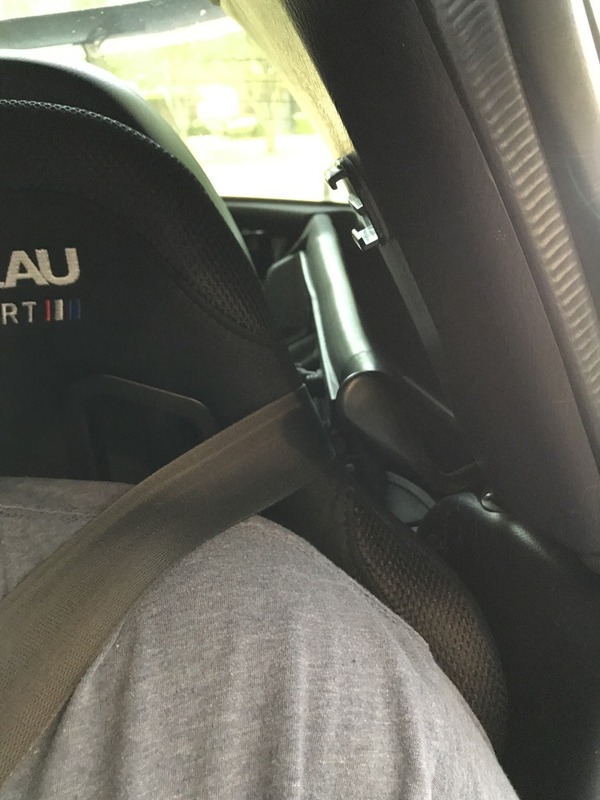 The seat was packaged very well, it included the seat brackets in the box which are very well made with thick steel and pre-drilled for the S2000. 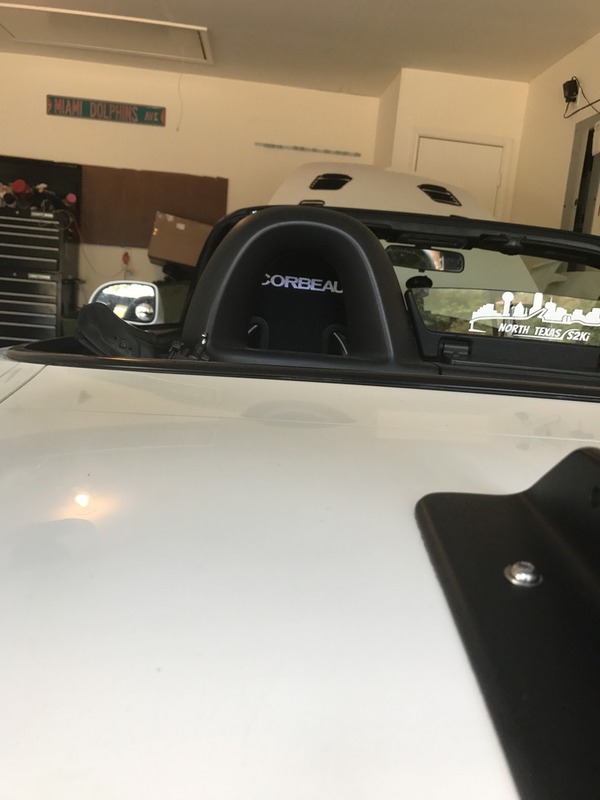 The bracket install was very straightforward, the Forza Sport comes with options to either do a side mount or bottom mount, the Corbeau seat brackets use the bottom mounting option. To install just remove the 4 hex mounting bolts on the bottom of the seat, align with the holes in the slider and install. I did the forward two bolts first, snugged the bolts but didn't tighten all the way, then slid the slider forward and installed the back two bolts. After everything was installed, I tightened the four bolts properly. 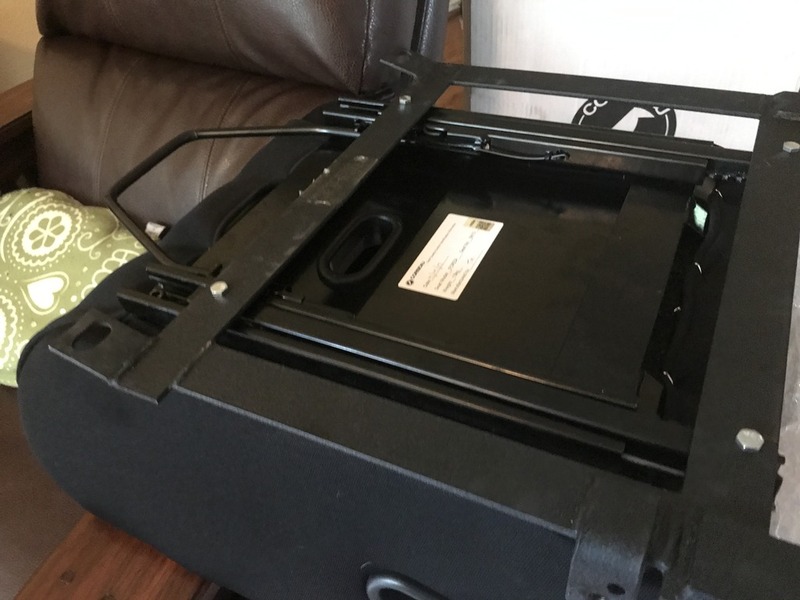 The brackets also include a place to mount the OEM seatbelt, which some aftermarket brackets do not, I will need to use a seat extender to allow access to the seat belt as there is virtually no space between the seat and the transmission tunnel. 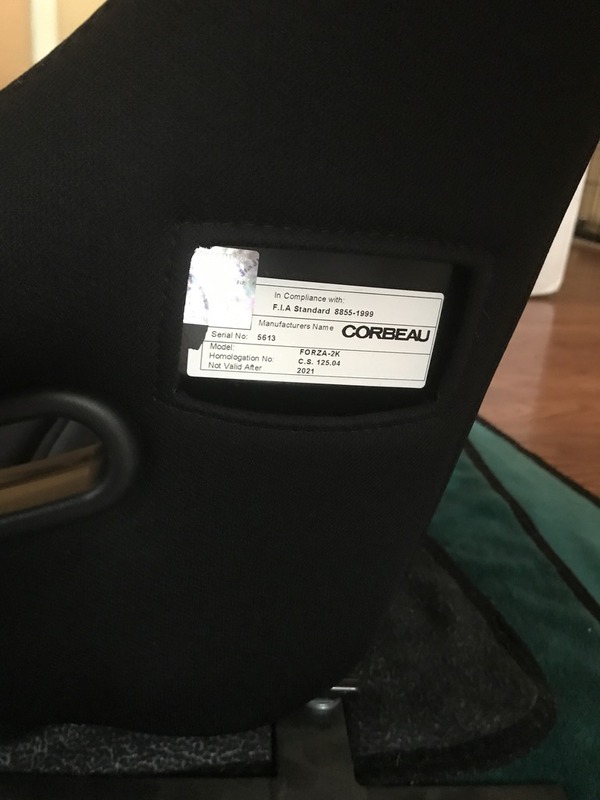 Here's a closeup of the seat and materials, it has good padding and the cloth like material seems to be good quality, I would say equal to what you get on a Sparco seat. There is also an option for vinyl "leather" and a few different cloth color options as well. 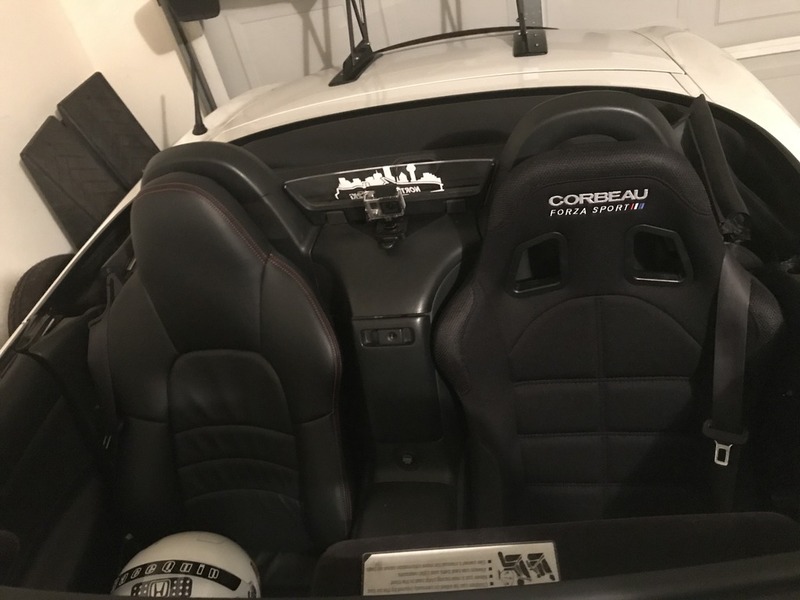 Side by side with the stock seat, I measured the space between the floor and the bottom of the seat and on the OEM it is 5" and the Corbeau is 4"
You retain full use of the center console which clears the seat by about 1/8". The left wing of the seat does touch the side plastic just behind the door, but just barely. Before the install I took some pictures and measurements of myself in the seat with my helmet, just give some idea of how low the seat fits. 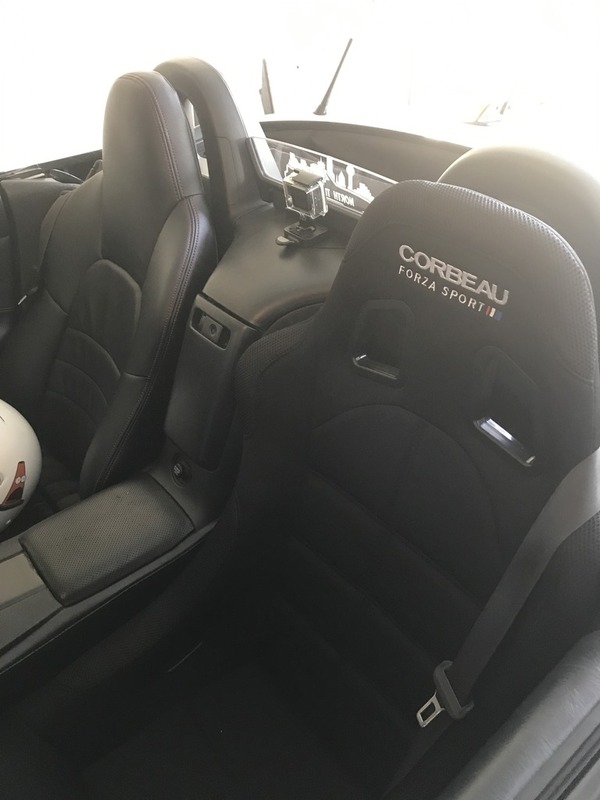 With both seats pushed all the way back, the OEM seat was 40" from the floor of the car to the top of my head, the Corbeau seat was just under 39". So with this seat you also gain a little over an inch of headroom. 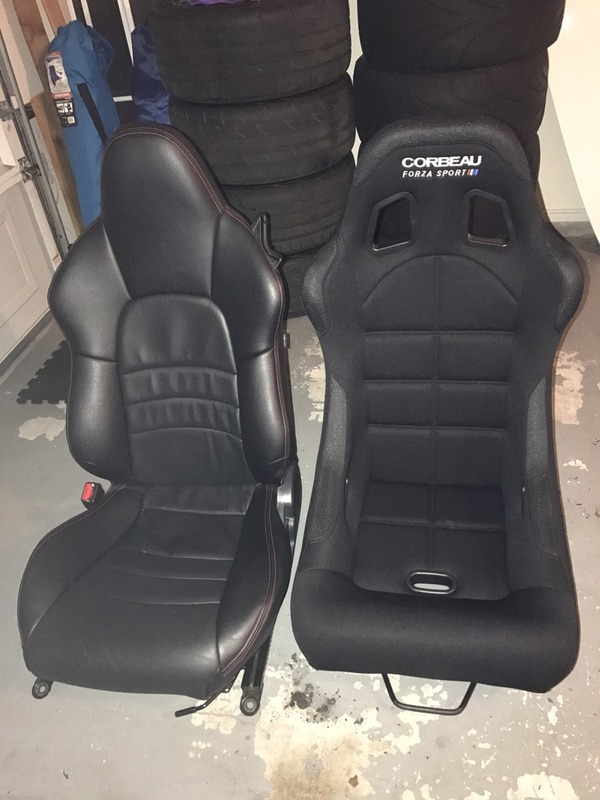 In the picture the top is the Corbeau seat, bottom is the stock seat. 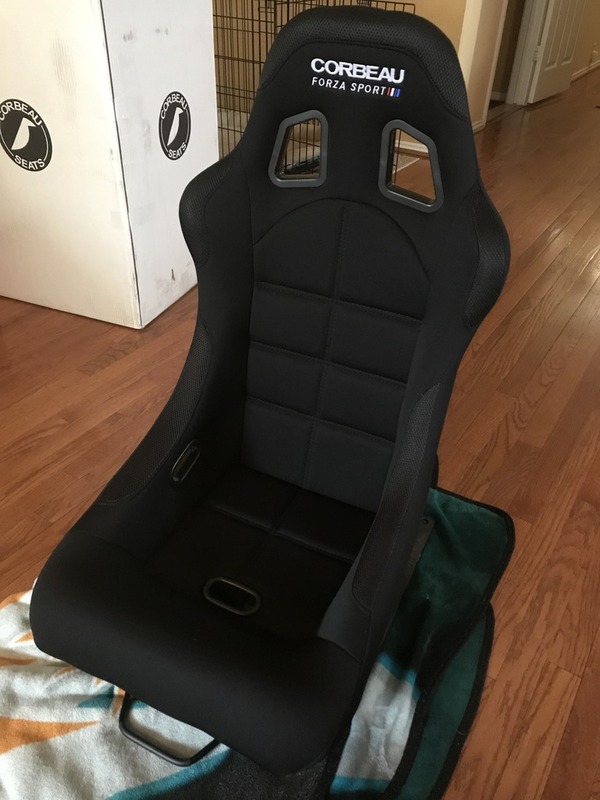 Since I am happy with the seat and the ease of installation, I went ahead and ordered another for the passenger side as well. Had the wife try it out, and even though she is much smaller than me, she felt comfortable in the seat and said it felt much more supportive than the stock seat. 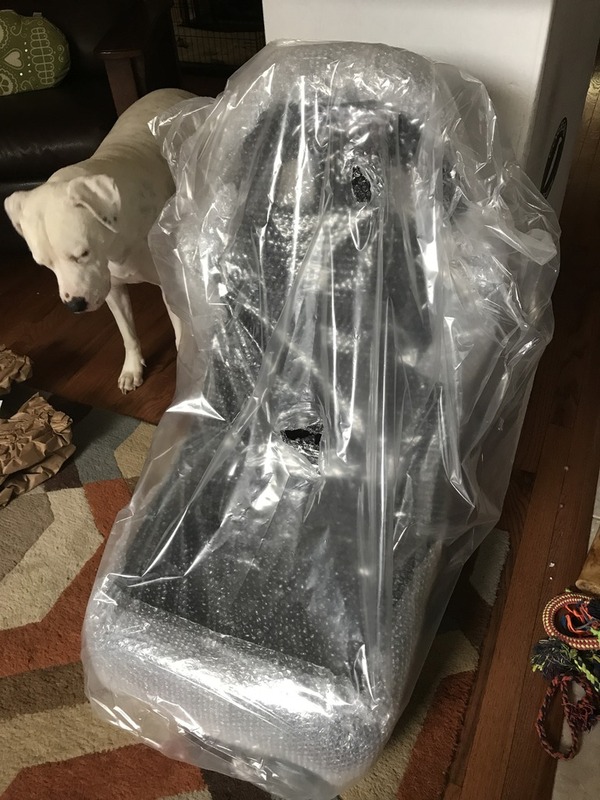 Hopefully this helps some others in a similar situations, if anyone has any questions about the seat or the install, let me know! 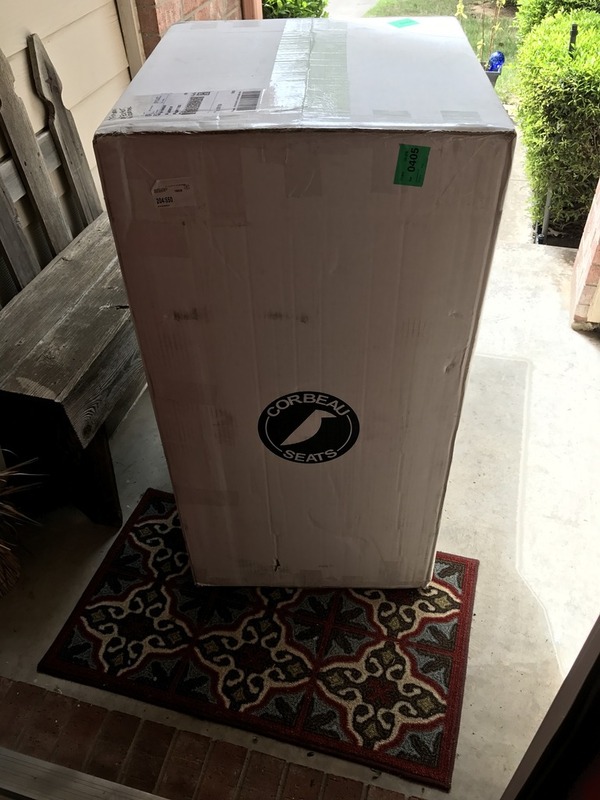 Nice review, glad to see how easy the installation was. 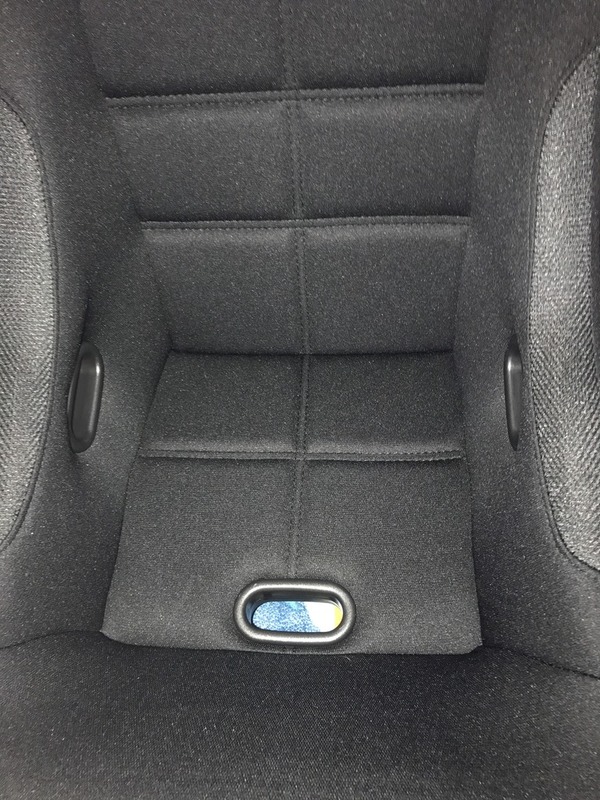 Have you had the chance to spend a longer period in the seat? Curious how it would feel after an hour or two drive. Not yet, waiting for the seatbelt extender to arrive, will update with some driving impressions next week. Will be doing another track day May 5th, so should also have some info on track performance as well. Thanks for the write up. 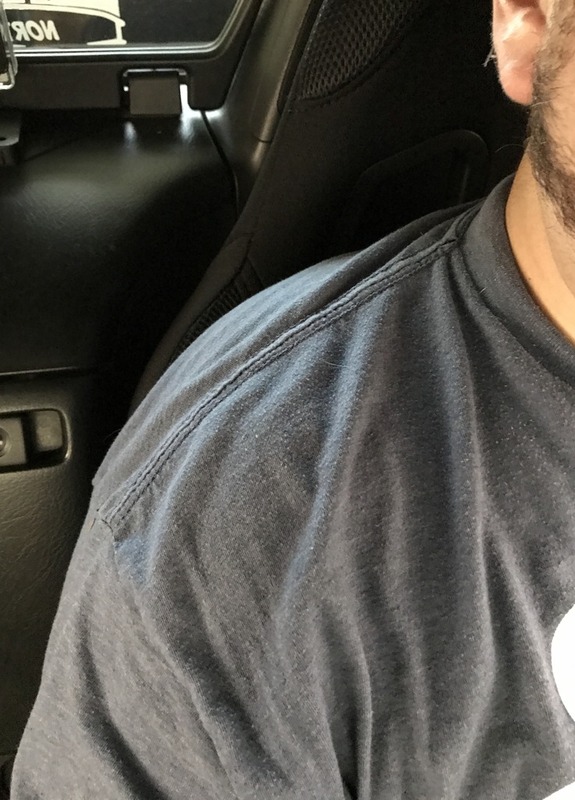 Not to put you on the spot, but any chance you can post a picture from an angle to shows how you fit in the seat? 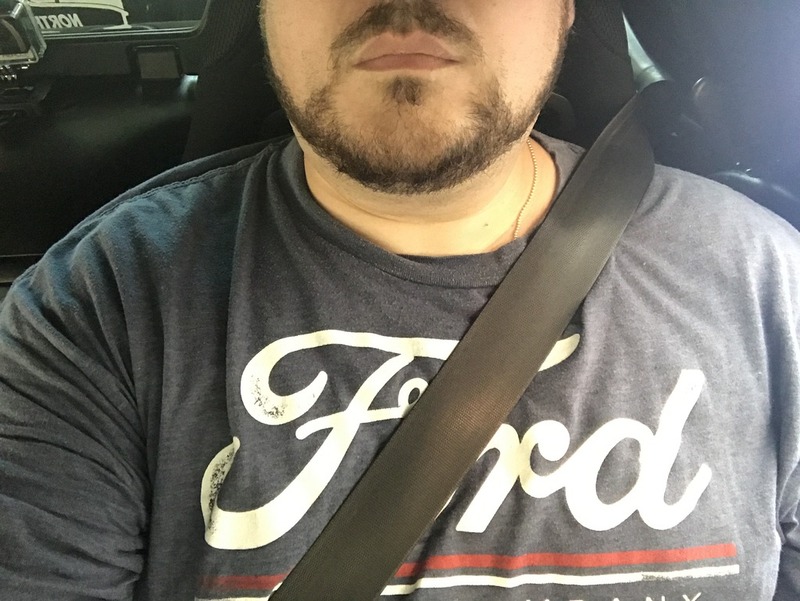 I'm 230lbs with a 39" waist and I've been trying to find a seat that I will fit in, that won't crush the life out of me or get uncomfortable quickly. Sure, I'll try and get a picture from the front. I will say that it is pretty snug on my hips, but not uncomfortable. The back and shoulder sections are similar width to the stock seats but deeper and more pronounced. The padding is good, and the angle is very similar to how I normally set the seat. Will have better feel for any long term fatigue and comfort after I get some additional seat time. Finally got a chance to take some pictures of me in the seat with the seat belt buckled (extender didn't arrive till today). There's not a ton of room to take pictures, but here you can see how the seat fits around my shoulders, its very snug but not uncomfortable. Will take it for a spin soon and report back with driving impressions, also have a track day next week (May 5th) so should have some info from that as well. The passenger side seat should arrive by Thursday, so will be installing that one next. 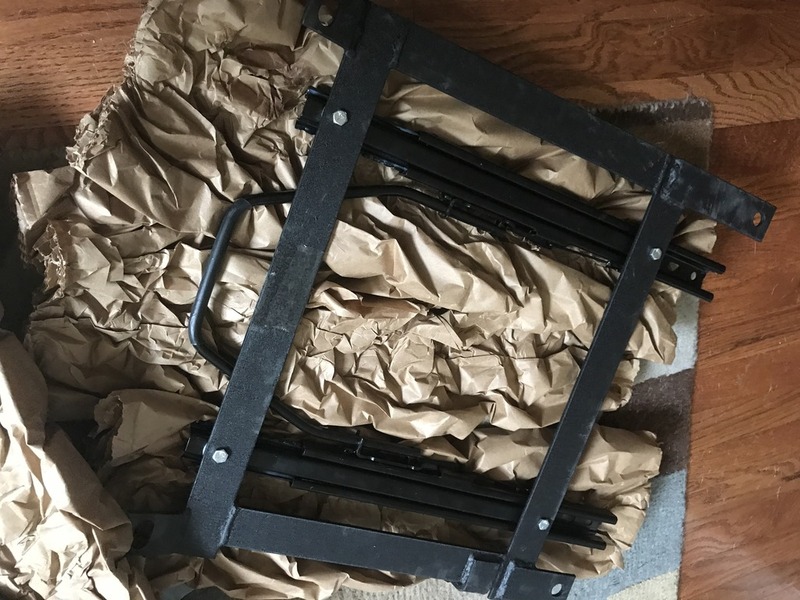 Did this come with everything needed for install or the brackets separate from the sliders? It does, if you purchase them from Corbeau. 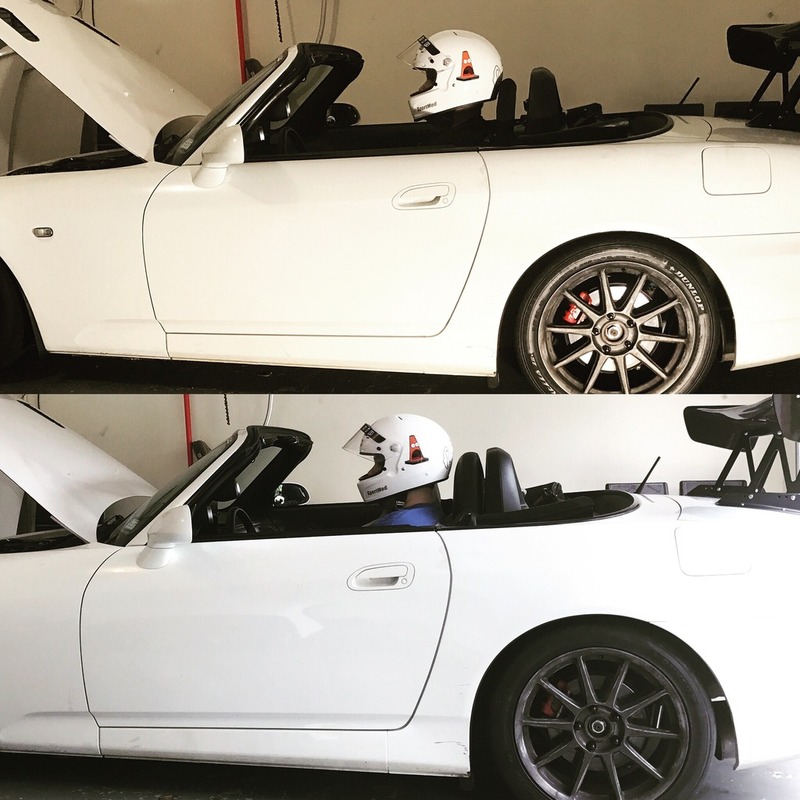 They make the brackets/sliders specifically for the S2000, and for my 2006 it fit perfectly with no modification needed. 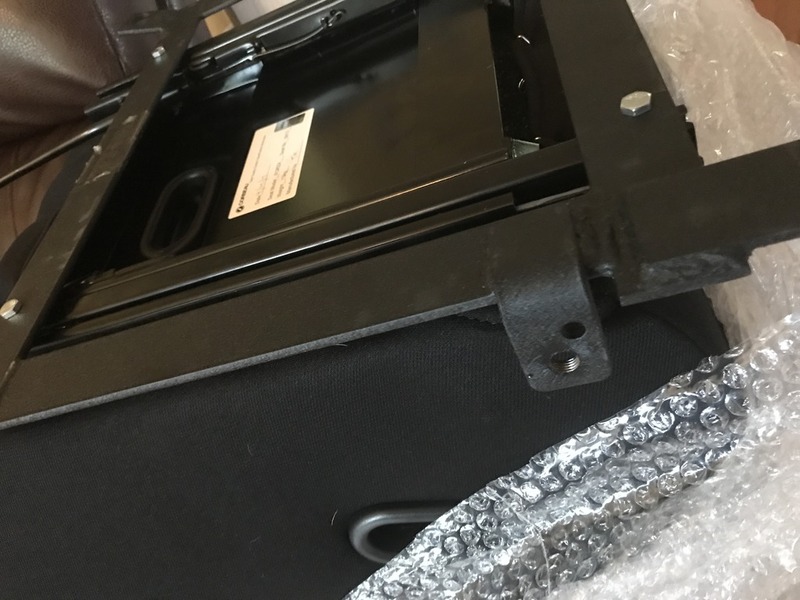 When you purchase the bracket it gives you an option to select the single or double locking type of slider, I chose the double locking which they recommend for track/performance usage. Thanks for the pictures. How does it feel in the hip area? Its tight, but not uncomfortable. Also because it's steel and not fiberglass or carbon/kevlar, you should be able to massage the sides if you need more room.